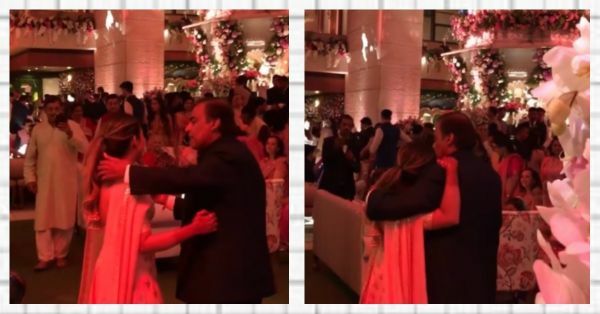 WATCH: Father-Daughter Duo Isha And Mukesh Ambani Danced To Dilbaro & It’s Making Us Teary! The past few days have been a crazy bash here in tinsel town with the big, fat, desi Ambani wedding. All of our Instagrams have been flooded with pictures of celebs and videos of the Bollywood crew as well as soon-to-be mother-in-law giving an amazing dance performance. Everyone who is someone was there. From Priyanka Chopra and Nick Jonas at the mehendi and pre-engagement bash to Aishwarya, SRK, Alia, Ranbir at the engagement party. Well, if anyone can throw an extravagant soirée it's the Ambanis, right!? While all these celebrities were there it was actually the immediate family that caught our attention. It was heartwarming to see the evident love between daughter-in-law Shloka Mehta and Akash Ambani's twin Isha. Even Nita Ambani went out of her way to shower blessings on the happy couple. To show her excitement she even did an entire performance on stage on the pre-engagement party and boy did she bring back the classical dance form. There was even a video where Isha did the aarati of her brother and sister-in-law to welcome her into their home and family. We even witnessed a heartwarming moment between the other bride-to-be Isha Ambani and her father, Mukesh. 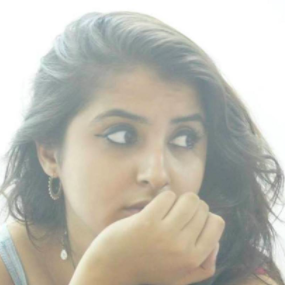 She's too just got engaged to Anand Parimal and is rumoured to be wed in December. On the joyous occasion, the father-daughter duo danced together on the song Dilbaro from the movie Raazi. Singer Harshdeep Kaur and Shankar Mahadevan live sang the song as the two swayed emotionally. It just goes to show that even if you're the richest man in the country, for a daughter, you'll always be first and foremost a father. This video is so heartwarming and it proves once again that there's something special about the bond between a daddy and his little girl. Guess even the head of Reliance goes weak in the knees for his darling daughter. How aww-dorable is that! ?